I was this close, this close, in leasing a car from Dave but I decided to pursue another model at a different dealer. Dave structured and worked out an awesome deal based on my needs (in one day) while I was driving down from Norcal to Socal. Dave was responsive and understanding even when I decided to go a different route only because Dave didn't have the model I was looking for in stock. He even prepped the paperwork and washed the car so I wouldn’t spend a long time at a dealer. It was a pleasure to do business and it’s unfortunate a deal didn’t work out. I would absolutely work with Dave in the future and will recommend him to friends looking for a BMW. 5/5 stars. 10/10. We went there to purchase a trade-in vehicle that was not a BMW and they still treated us like we were their best client. Everyone was very friendly and accommodated us in every way possible. Carl was very understanding and helpful when it came to our financing woes. He helped us every time we made a change and delivered the information we needed to help us make the best decision for us. The general manager even helped us with our own trade-in. Thankyou to everyone we met! Excellent experience from start to finish. Everyone was very accommodative of our tight schedule and it was a great day. We will recommend to family and friends. 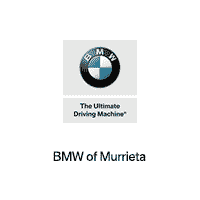 I have dealt with BMW of Murrieta for years. Recently we had the pleasure of dealing with Joe Garcia. Joe was honest, professional and available. He made our transaction an easy and stress-free process. I drive past 2 other BMW dealerships to get to BMW of Murrieta. I highly recommend them.